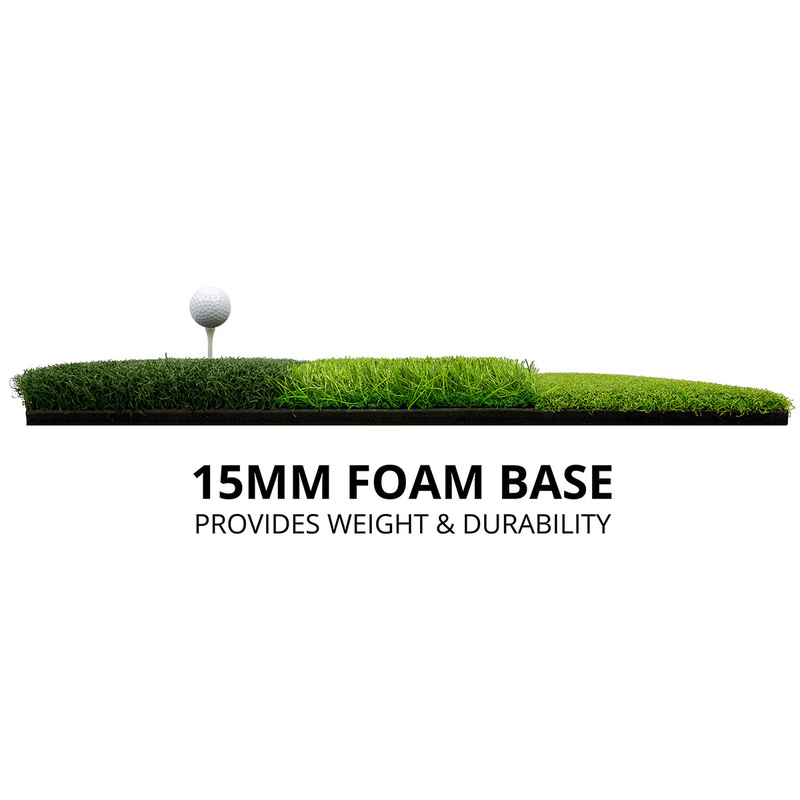 This multi-functional mat is ideal for driving,chipping and fairway shots. 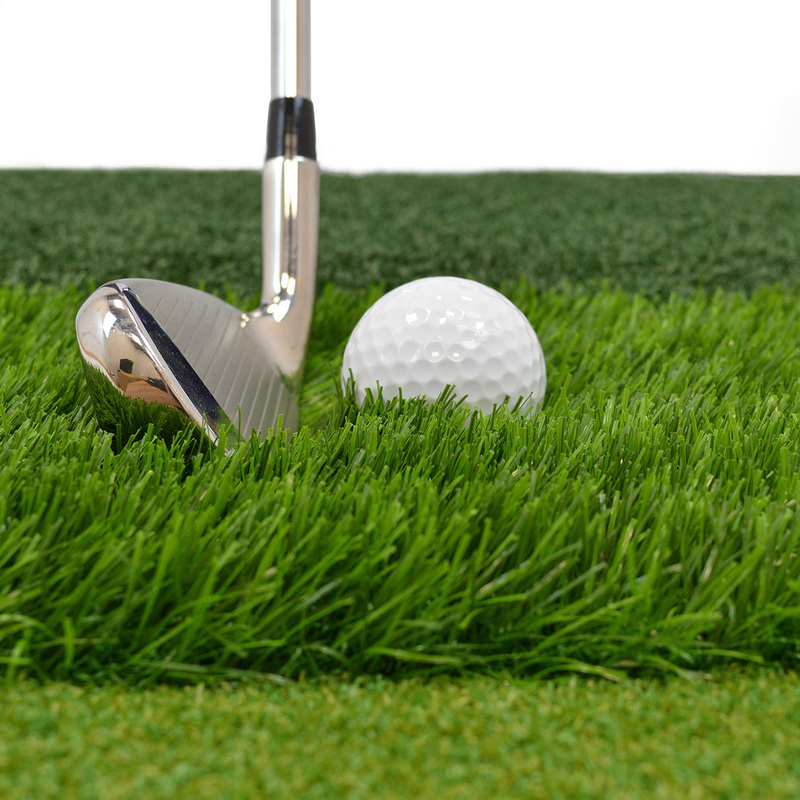 The mat has been designed to simulate different turf conditions, which you will probably face during your round of golf. 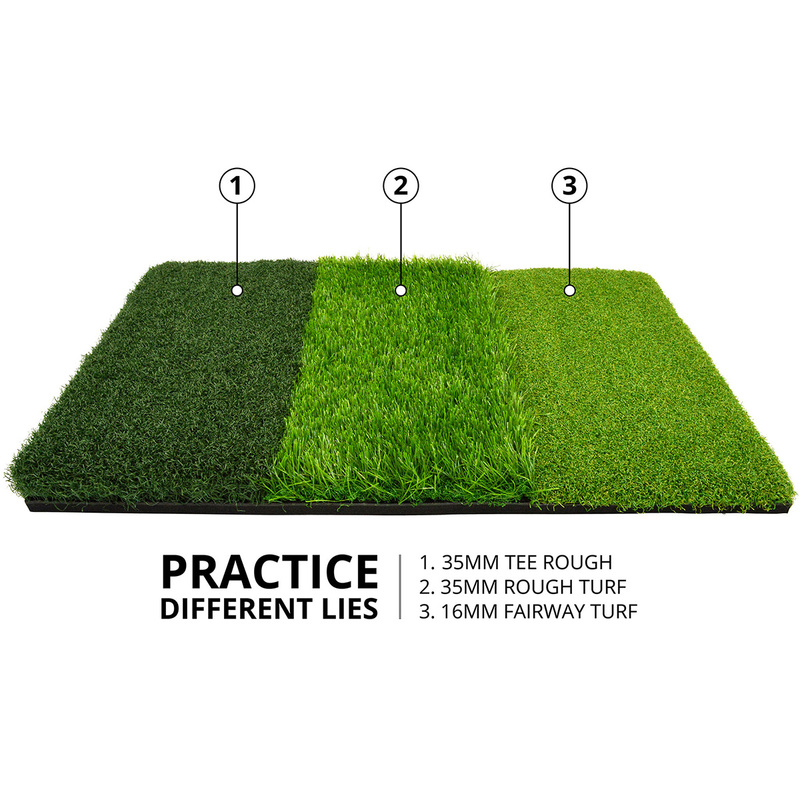 Firstly there is the 35mm rough grass which is ideal for chipping and iron shots, some 35mm compact grass for use with tee`s, which is perfect for your driver and fairway clubs, plus some compact 16mm fairway grass to assist in playing your irons and wedges. 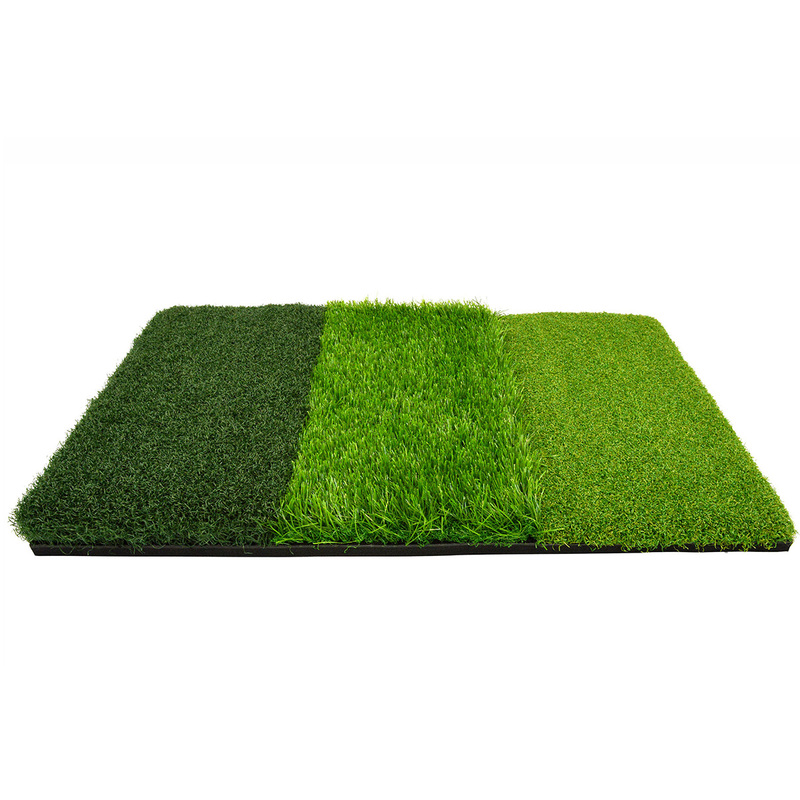 The mat is easy to transport, has a foam padding base, with non-slip backing to avoid unnecessary distraction during your practise sessions.